Gary is passionate about sharing knowledge and making Project Management concepts more accessible, particularly to new and aspiring Project Managers (of all ages). Said another way, he likes to tell stories to help convey complex concepts in a way that helps the concepts “stick”. Who says learning shouldn’t be fun? 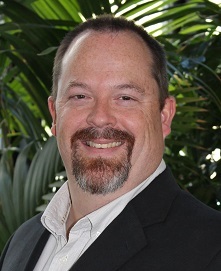 Gary is also a Project Manager who has worked in the Telecom, Student Information Systems, Local Government and Healthcare sectors since 1989. His international experience includes projects in New Zealand, Taiwan, Hong Kong, the US and Canada. Gary is the author of four project management books, and father of three boys. Gary is a long-term volunteer for both Scouting and the Project Management Institute (PMI). He has combined his love of writing, working with children and teaching practical life skills and distilled them into his books. He has partnered with the PMI Educational Foundation (PIMef, www.pmief.org) to help make his children’s books (the Project Kids Adventures Series) available for low-to-no-cost for school programs. Amanda was terrified. Sure, she and her friends had built a huge tree house and an awesome haunted house together – but now she was inway over her head. Those projects had been for fun – but this one was going to be marked! She and her lab partners had to do a class project for the School Science Fair – but they had absolutely no idea where to start or even what to do. Had they finally met their match? “Gary develops another children’s story in a very fluid, visual, fun and conversational way, while showing us how the concepts and essential skills of project management can be easily and effectively applied in school or daily life projects. It is not only an excellent reading book but also a good reference and tool for teachers and parents to convey to their children the universal language of project management. Written by Giorgio Bensa, PMP – Membership Director, PMI Northern Italy Chapter – PMI Volunteer of the year (2012) for creating the “Project in Bloom” contest. “THIS BOOK IS GREAT for young people (by age or at heart), and is a fresh story with plenty of easy-to-understand hints about project management. If you are new to projects, you will learn a lot following Amanda and their friends while also having a lot of fun! Reviews from our Younger Readers! Angela B. Chrysler: I want to take a moment to welcome Gary Nelson, author of the Project Kids Adventures series of books, which includes The Ultimate Tree House Project, The Scariest Haunted House Project – Ever! and The Amazing Science Fair Project, which was released earlier this year. All three books are available on Amazon. ABC: Thank you so much for speaking with me, Gary. Please take a moment to tell us about your book. Gary: Thank you for having me on the blog tour, Angela. Today I’d like to talk a bit about the Project Kids Adventure series – and about the latest book, The Amazing Science Fair Project. The first thing I will admit is that these are actually Project Management books – but definitely nowhere close to traditional textbooks. All of the books in the series are first and foremost enjoyable stories – 220-240 page novels, actually – written for kids between the ages of 8-12 (or 30+). People have used stories to convey important lessons and messages for thousands of years; the difference with these books is in the choice of lesson or topic. The books follow eight primary/middle-school aged children as they work together through a variety of projects and challenges. Every kid wants to build a tree house, for example – I mean, who doesn’t? Or, perhaps a haunted house – most kids like scary things like that. So in the first two books, that is exactly what they do – or almost. Most kids (and, frankly many adults) jump into whatever task they have at hand, eager to achieve the end result as quickly as possible. The problem, of course, is that it does not always work out that well – you may run out of materials, realize you don’t know how to do some part of it, or suddenly find it is too difficult, and put it in the ‘too hard basket’ for someday-later, or simply give up. The exuberance of youth fades over time, and I think that part of it can be attributed to trying – and failing – at too many things, then giving up and never trying some things again. In some sense, these books try to combat that decay of enthusiasm, by providing a supporting framework for learning how to tackle challenges – any challenge – by breaking it down into smaller, less scary pieces. They also stress the importance of working together in teams to get things done, as you can support each other and get more done together than you could on your own. The books demonstrate what happens when you fail to do simple things like planning, but they also show what good things happen when you take some time at the beginning to get things laid out and work together. This not only makes you more likely to succeed, you will also enjoy the journey a whole lot more as well. In the first book, the boys jump into building a tree house, boots and all – and immediately run into obstacles. When one of the boy’s sister offers to help, she is of course refused (being ‘just a girl’), which triggers a whole chain of events as the girls go on to build their own tree house – a better tree house, built easier and fasterthan the boys – with a little help from Dad. As a project manager, he teaches them some simple lessons around what projects are, and how to do them, which the girls embrace and tailor for themselves. Later in the book, the boys are drawn into the whole ‘project’ thing, and together they create something marvelous – a five level, nine platform tree house. The children carry the lessons with them through each successive story, with a few extra bits of parental tips and guidance as needed – but for the most part, the kids become quite competent at tackling each new project on their own, and dealing with the many set-backs they encounter. The Amazing Science Fair Project is a bit of a departure from the first two books, in that the first two projects were principally for fun – and the Science Fair Project, of course, is marked. They have to come to grips with delivering to external expectations, which ultimately affects their term grade. Now who wouldn’t find that stressful? However, working together through a number of challenges, the project kids manage to pull it off, with a decent mark to boot. ABC: How did you come up with the idea for your book? Gary: Shortly after I had published my first book (for adults), Gazza’s Guide to Practical Project Management, I was talking with someone about it at a conference. The book was different from most other project management books in that it conveyed the principal concepts of running a project, from start to finish, through a series of stories. The person I was speaking with said that sounded like an interesting approach, and suggested (tongue in cheek) that my next book be one for children. In fact, they were quite specific – it needed to be written for upper primary/middle school children, around ages 9-12. The person I was speaking with was from the Project Management Institute Educational Foundation, and they said there was nothing at all available in that age range (worldwide), although there was a reasonable amount of materials focused at the High school level, and just one picture book for Kindergarten/Grade 1 students. Having three boys at home, the youngest of which were 9 and 10 at the time, I considered the challenge, and after discussing it with them, decided to give it a go. But first I needed to come up with an approach, and of course the topics. After much deliberation, I settled on the ‘novel’ approach, rather than something that could only be used in a classroom setting. The children would go through a series of fun adventures and challenges, but they would be gradually introduced to using Project Management concepts in a more natural, organic way. So the lessons in the stories are not ‘in your face’, they fit in well with the flow of the characters and the story line. Yes, there are terms, definitions, and some pictures and diagrams to support that – but only in a couple of chapters per book. The rest of the stories simply having the children getting on and using what they have learned, to get their projects done, usually better and faster than they would have otherwise – or let them tackle challenges they would previously have thought were too big to tackle. The process of creating the first book was quite daunting, having never before written for children, and having not attempted writing dialogue since University. However, with my two in-house experts / junior editors, it was a great bonding experience and family project that also turned into a great book. The other books in the series have followed in a similar fashion, bouncing around ideas on what would be an interesting topic that would engage children, and yet be familiar to them as well. The topic for the first book was a toss-up between a Tree House and a Haunted House, and my kids voted unanimously- so The Ultimate Tree House Project was written first, followed by The Scariest Haunted House Project – Ever! 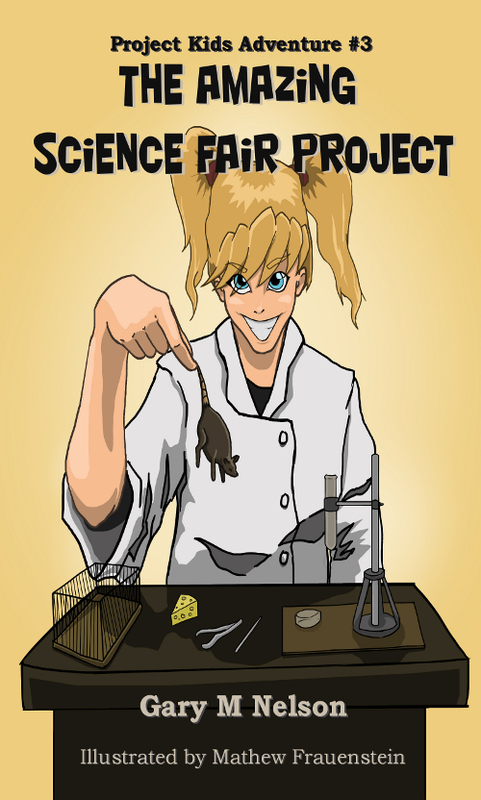 The Amazing Science Fair Project was inspired by the reality that these types of projects start happening in middle school, and the book would be a fun way to introduce them, while providing some guidance around how to do one successfully. The artwork is another story – all of the interior and cover art has been created by a family friend – Mathew Frauenstein, a very talented artist who was just 15 years old when he started working on The Ultimate Tree House. We have a great working relationship in the production of the books; somehow he manages to take my ramblings and crude sketches and then transform them into great chapter and cover art that is exactly what is needed, with relatively few revisions. It is a rare talent to be able to do that, and I am very lucky to be working with him. ABC: Stories always require some form of research. What kind of research did you do for your book? Gary: The stories draw from two main areas – my experience as a project manager, and my experience in dealing with children (and being one myself, of course – just a few years ago). On the project management side, I am a certified Project Management Professional through the Project Management Institute. The common framework for projects encompassed by such texts as the Project Management Body of Knowledge (PMBOK®) is reflected in the stories, but of course adapted to a suitable language and level for children. On writing from the perspective of children (eight of them), most of that is based on my personal observations of how children talk and behave. Before I had my own children, I was a Scout leader for nearly 11 years, and those youth ranged from 10-14 years old. Since then, of course, I have had my own children, and with the two youngest now aged 11 and 13, I am once again a Scout leader working with children in this age range. The characters in the book start out at age 10 and 11, which in my opinion is a great age to start working on projects. When they reach that age, they are starting to engage in critical thinking, reflecting on their plans, actions and consequences, and are generally quite capable young persons. I was regularly amazed in my first time round as a Scout leader by how competent and capable the Scouts actually were – when provided with challenges, some structure, and the encouragement to grow, they generally met and often exceeded our expectations. ABC: Which scene or chapter was the hardest for you to write? Gary: Ah – a tough one. In The Amazing Science Fair Project, I guess the most difficult chapter was What’s The Big Idea? This was one of the key ‘lesson’ chapters, and it is always a challenge to try and make sure you get the lesson parts written with just the right balance of fun and information. That is probably why I leave the guts of those particular chapters to later on, and focus on the flow of the story through the first full draft. Then I come back and wrestle with how best to fit the lesson in, and what to leave out. For some reason it was a bit harder in this book than in the others – perhaps because the children in the story already have been through it a couple times, but for a reader picking up the books in random order, you still have to cover the basics enough so it makes sense. ABC: Please describe your favorite scene or chapter in your book and tell us why it’s your favorite? Gary: This is a much easier one to answer. In The Amazing Science Fair Project, my favorite chapter is Wet Shoes, and Everything Else. The boys go through an experience that is actually based on a real-life camp when I was a leader many years ago. Boy Scouts is about being prepared, right? So of course you pack extra clothes – just in case. On this camp, one boy manages to go through all of his extra-extra spare clothes in under half an hour, and ends up confined to his tent until they can get dried off. In this case, the real-life story was so ridiculous, it couldn’t help but find its way into the book in some form. ABC: Which of your characters do you relate to the most (or) who is your favorite character and why? Gary: With eight principal characters (four boys and four girls), it’s not simple to pick just one. The way they each approach things reflects different aspects of my own thinking, I suppose, but at different times and in different conditions. However, I would have to say that I relate most to Amanda, who is the de facto ‘leader’ of the group most of the time. She has her own sets of challenges and self-doubt, but somehow manages to get everyone working together to produce a good result. I think that many project managers must also approach their projects in a similar way – you know what needs to be done, you know that you are being looked upon to do it, but you may not always know how to get there. Over-confidence is not something that works well on projects. Optimism is essential, but you need to maintain a realistic awareness that every day is a juggling act that could go either way. Amanda faces similar challenges, so I think that is why I most strongly relate to her. Tim might be a close second – he’s the analytical thinker, but I think first choice would still have to be Amanda. ABC: I once read that every author is simply a compilation of his/her favorite authors. Which authors have done the most to influence your writing and why? Gary: For many years I read mainly science fiction, though in the past decade or so I have branched out into other genres. I grew up on the writing styles of Isaac Asimov, Larry Niven, Greg Bear and Kim Stanley Robinson, to name a few. However, the kids’ books are much more reality-based – there is nothing ‘science fiction’ about them. Also, the kids’ books are primarily dialogue (vs descriptive passages), as kids tend to talk a lot, as you may have noticed. I’m not sure who I would attribute that to, as that is quite different from most of the reading I have done. As for the rest of my writing outside of the dialogue, I suppose I strive for economy in my writing – saying more with less and making sure only the words that are needed are left – and I think Niven and Robinson both had some influence in that. ABC: “Story” has always been the center of all human cultures. We need it. We seek it out. We invent it. What does “story” mean to you? Gary: I think that “story” is a way to connect people together – families, friends, communities and wider groups. We like stories that we can identify with – see parts of ourselves in and compare values, perhaps see ourselves as one of the characters, or just a third-party observer. Stories that don’t have that element tend to be seen as “boring” and don’t stick – and they fade out of memory. Stories can be a method for teaching and learning, of course – for example, the oral histories passed down from generation to generation about “how things work”, “why we are here” and “where the best places are to get food”. There is a tremendous amount of written story that teaches, of course – but the principle is still the same. Another way of looking at a story is a way of passing on part of ourselves, so that we are remembered, I suppose – that is, if we are creating the story. We are all part players in a multitude of stories every day, your story and mine and hundreds of others constantly intersecting and diverging in some master script – however not many of those stories get written down. Sure, not everything is worthy of remembrance through writing, like what you had for lunch on Tuesday, but the big things, the important things, somehow find a way into common stories that we can all share and identify with. I think that is partly why movies are still so popular, even in this age of social media and everyone broadcasting their own “story”. For the most part the stories in the movies have been well crafted, draw you in and let you feel engaged and part of the story, at least for a couple hours. The bigger part of the sharing happens afterward, when you reflect on the stories with your friends and colleagues. Simply put, stories bind us together. ABC: Tells us about your next project. Gary: I am currently half way through writing book four in the Project Kids Adventures series, which is titled ‘The Valentine’s Day Project Disaster’. As you can imagine, with a title like that there will be plenty of opportunities for complex story lines when you have a lot of children involved. In fact, the book has the project kids engaging with the entire school as they try to organize the Valentine’s Day school dance, which had been a complete flop the year before. The children learn a lot about relationships (not just the Valentine’s kind), and how to develop skills that will help them influence the masses – for good, of course. Where the first three books were a bit more focused on the practical ‘hard skills’ of projects, like planning, budgeting and so on, this book brings on their biggest challenge, and the greatest opportunity for growth. This book will have all the planning and other stuff too, of course – you can’t have a project without that – but the primary focus will be on the soft skills, which in reality is the hardest part of managing any project. The ‘hard skills’ are easy to learn, and the ‘soft skills’ can be very, very hard. I expect the project kids will rise to the challenge, but we will all have to wait and see, as it’s only half written so far. At this point, I expect the Valentine’s Day Project Disaster will be released in either December 2015 or early January 2016, but it is available for pre-purchase now. I am also very excited to announce that all three of the Project Kids Adventures books are now being translated into Portuguese. ABC: Where can we find you and your book? Gary: I have several websites – www.gazzasguides.com, which covers all of the books at a high level, and www.projectkidsadventures.com, which is entirely dedicated to the series of children’s books, and includes basic project lessons and free resources for parents, children and teachers. The books are available on Amazon, in both paperback and Kindle eBook. The books are also available through many other online retailers in both paperback and a range of eBook formats. My blog, which is more for older (adult) project managers, is www.gazzascorner.com, with the companion podcast (Gazza’s Corner Podcast) also available on iTunes. The series and books also have dedicated facebook and Google+ pages, which can be accessed from the main websites. The twitter handle is @ProjectKidsAdv. My page on about.me/garymnelson links all the social stuff together. ABC: Thank you again, so much for speaking with me. Gary: Thank you Angela, and good luck with the rest of the blog tour. ABC: Thank you, Gary 🙂 I appreciate it! 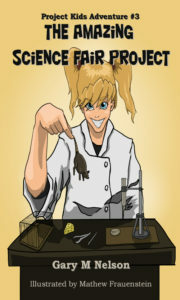 Gary is giving away a free eBook of The Amazing Science Fair Project during the Blog Tour! Visit Lu for more Brain to Books Blog Tour Giveaways!